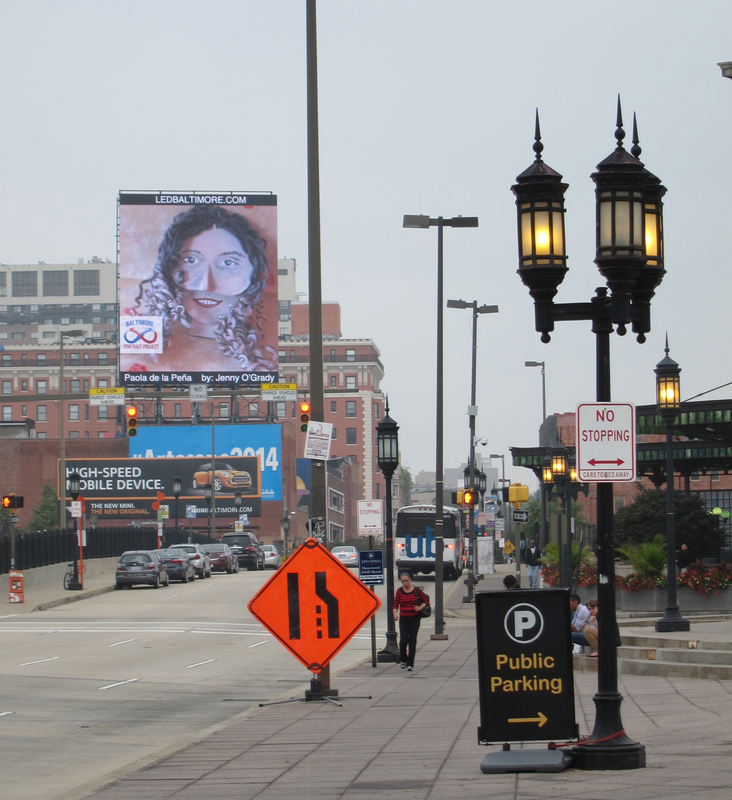 And here’s the result of the Baltimore Portrait Project! 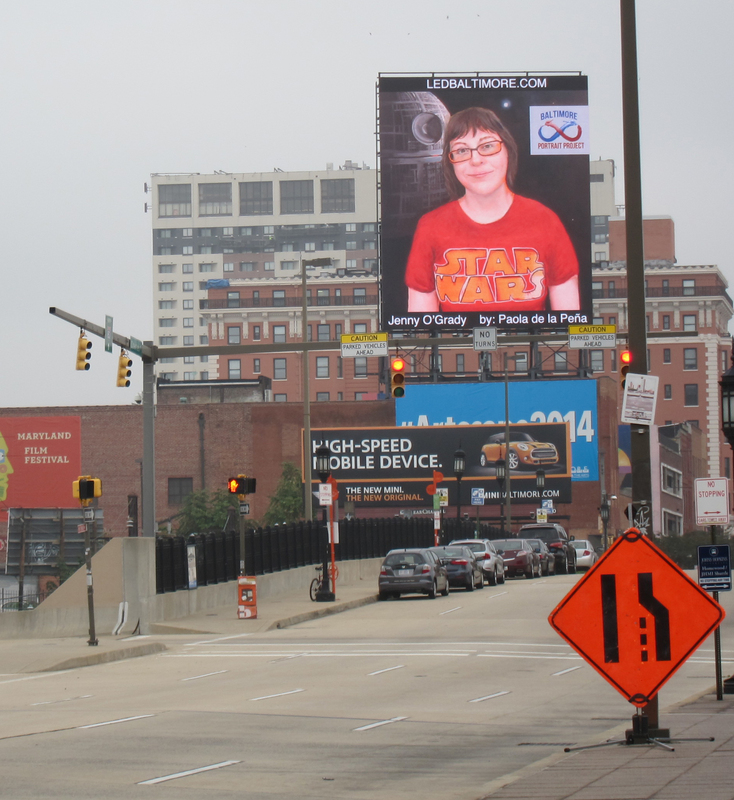 Our portraits — my book-y one of Paola (top), and her Star Wars-y one of me — are up on the big LED board on Charles Street in Baltimore’s Station North, right across the street from Penn Station and the 50-foot “Male/Female” sculpture by Jonathan Borofsky. Maybe they’ll wink at each other?